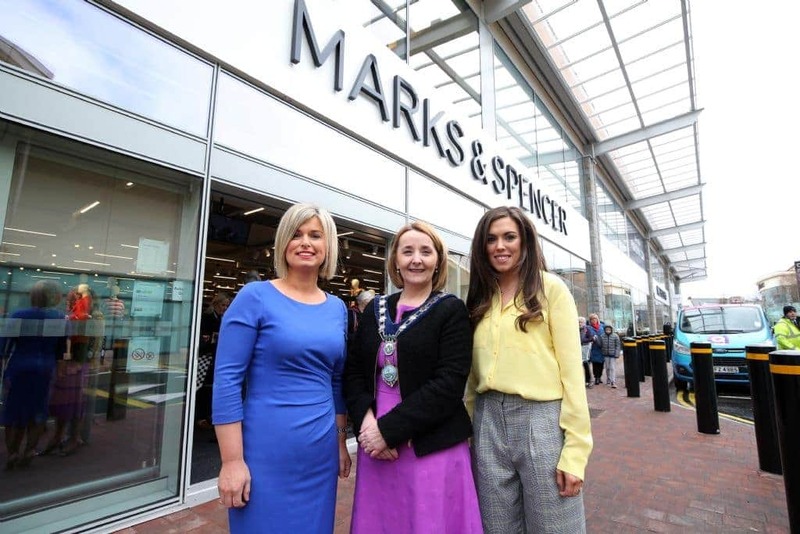 Marks & Spencer today unveiled its brand new 30,000 square foot store at The Quays Shopping Centre, in the heart of Newry City. 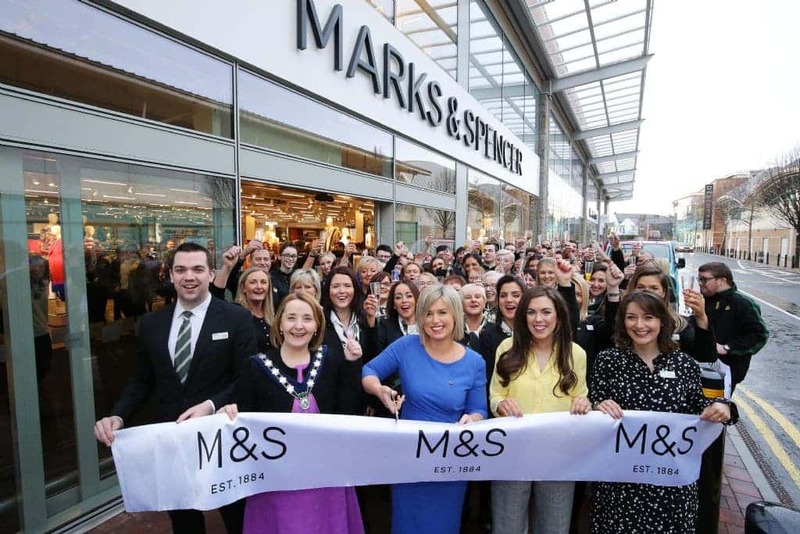 The opening has created 23 new job opportunities in addition to the 110 current M&S colleagues who have relocated from the existing Newry store. Located at 26 Bridge Street, M&S Newry offers customers extended trading hours – Monday to Friday (8am – 9pm), Saturday (8am – 8pm) and Sunday (1pm – 6pm) – and on-site car parking. The new store brings customers a modern shopping experience with an extensive range of M&S’s quality clothing including Womenswear, Menswear and Kidswear. Increased space has created wider customer choice in the Foodhall which stocks over 5,000 innovative food and drink products, as well as a selection of flowers, cards and gift wrap. Whether customers are looking for an on-the-go snack, mid-week meal or a special weekend treat, M&S Newry offers an exciting range of products to create show-stopping dishes and desserts. Other highlights include a 58-seater M&S Café serving a wide range of refreshments including Fairtrade tea and coffee served by specially trained Baristas. Sandwiches, as well as delicious pastries and cakes, make the Café the perfect place for shoppers to take a break. The new in-store bakery offers a range of speciality breads, pastries and cakes, freshly baked each day. 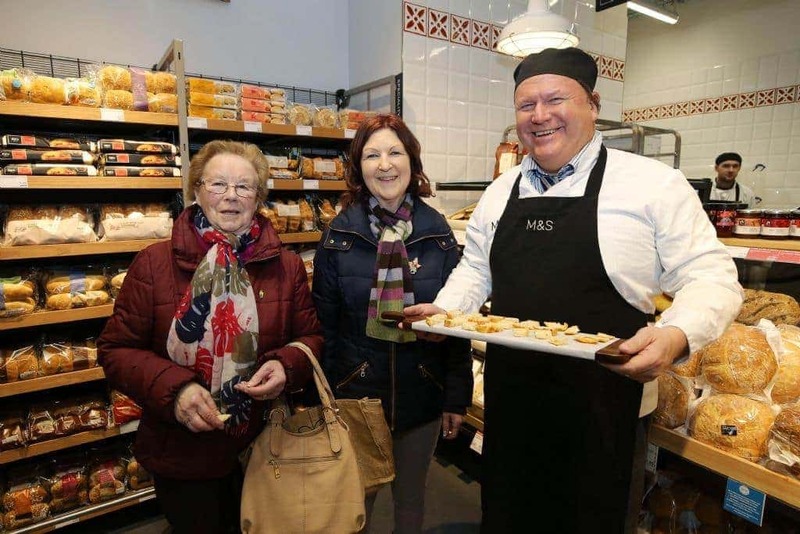 Councillor Roísín Mulgrew, Chairperson of Newry, Mourne and Down Council joined local residents to celebrate the official opening of the new store with M&S Newry Store Manager, Siobhan Ruck and her team. Grainne Little, an M&S colleague for over 20 years, cut the ribbon to declare the new M&S store open, with Q Radio’s Kevin McCalister entertaining customers throughout the day.